fIf you have decided that your attic is the perfect place for some storage bins, or maybe you have an older house with a attic that could be a 3rd floor and are giving it a good cleaning out, then getting things up or down from that space needs to be done safely. Attic entrances have never been totally user friendly and you should always take on this task of moving storage bins up there with someone else, just in case. Once you are up there it can be easy to step back and fall through that opening, plus getting up those last few steps whether it is a pull down attic stairs or a full set, you need something around the opening to help. These railings make it easier to navigate yourself up and down the ladder or steps, and will also remind you when you are up there that where the entrance is. It can be very easy to fall through while you are organizing your storage items. There are lots of really cool systems out there than can make using your garage or house attic easier for storage. If you had not bothered up until now because it is not finished enough up there to use, such as safe flooring or shelves, there are systems you can purchase online that will do all that for you and are easy to install. 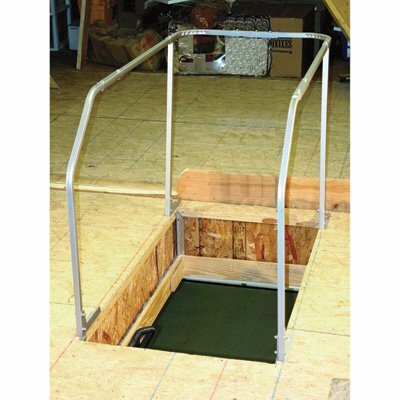 You can get attic storage systems and flooring or you can get attic stairs that pull down easily and perfect for smaller openings, you can also get a attic lift system that is remote controlled to lift your storage bins to the next floor above such as attics. This railing just helps to make it all safer. 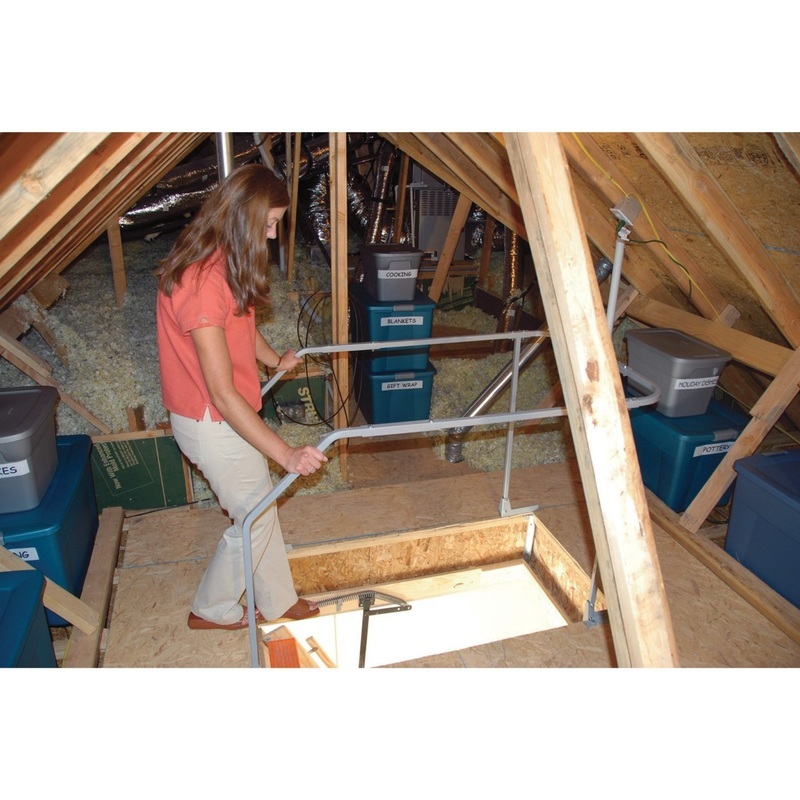 If you invest in a few essential products for your attic you can create the perfect storage area and keep the rest of your house organized.